Ministry of Human Resource Development (MHRD) will soon launch Padhna Likhna Campaign under which school kids would be encouraged to teach elderly people. Under this campaign, students from class 6th to 10th will be roped in to eradicate illiterate members of their family after school hours. MHRD is expected to launch this Padhna Likhna Abhiyan in the next 2 months. Shri Prakash Javadekar has conceived this idea from his school days where he used to help his mother and teacher in providing education to illiterate people. In his opinion, students will be the best teachers for elderly persons. The elderly people would be able to learn a lot of things from their kids and also be able to know about various govt. schemes meant for them. The children will now be the Guruji of their illiterate family members under the Padhna Likhna Abhiyan. According to the HRD ministry, the campaign would be launched in the upcoming 2 months. MHRD has proposed to provide teaching material to the students and they will be asked to teach their illiterate parents or grandparents. Sh. 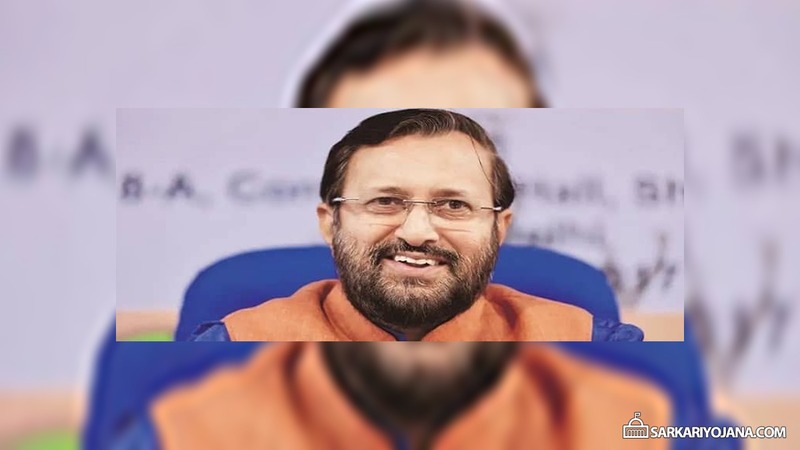 Prasad Javadekar had recently visited Jhalana kacchi basti where he met people and party workers and took feedback about the central government’s work. During his visit, he motivated children to teach their illiterate grandparents and he called the boy to be “Sir” (teacher) of his grandmother. This scheme will be formally launched in the next 2 months but he informally make soft launch by asking the boy to do so. MHRD minister has also held discussion with the area residents and received feedback on government schemes and programmes. The primary objective of the Padhna Likha campaign is to empower people and to reduce the problem of low literacy rate especially among women. When parents in a society are not educated, then they are unable to inspire their children to go to schools and help their children in their studies. Jabdekr JI saaksharbharat mission prerak ko aap ky kaam denge.or hme new scheme padhna likhna abhiyan me nhi rkha to isk hm prerak bjp government ko 2019 me bad parinaam denge.ky ki Jo prerak 200-300 logo ko padhna likhna sikha skta hi vo hi prerak 200-300 logo ko aap ki government ko vote na dene ki prerna de Santa hi is liye prerak ko padhna likhna abhiyaan me noukri do.